Seemingly progressive technology that’s considered to revolutionize the way music is recorded when it’s first introduced can often times end up hindering the uniqueness that drives the industry. 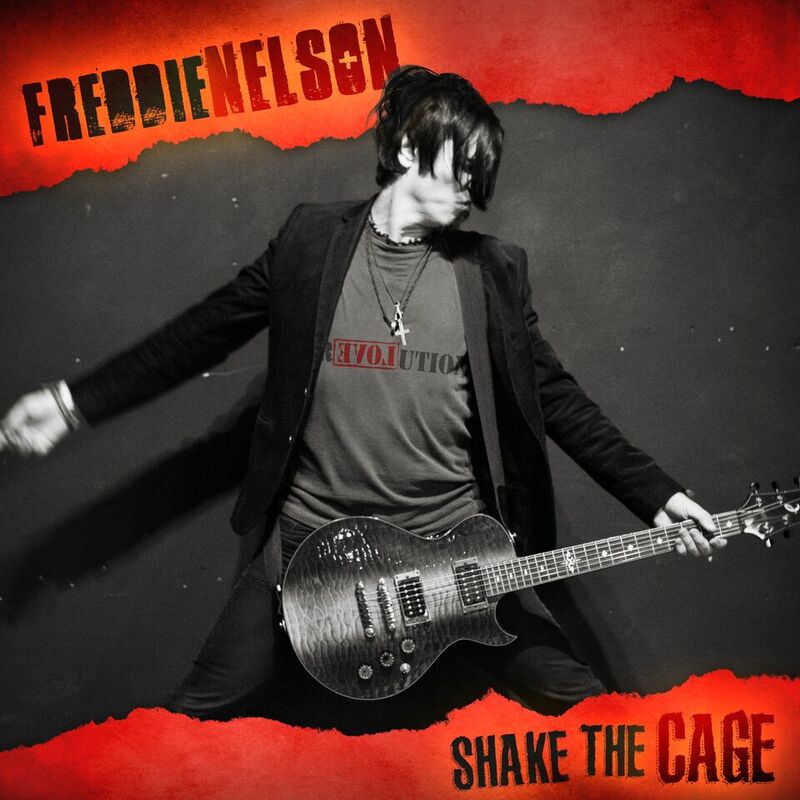 Versatile rock singer-songwriter, Freddie Nelson, is proving that the enthralling artistry that defined the genre during its time of prominence in the 1980s and ’90s can overcome the supposed technological advancements that have arisen, and become overrated, in recent years. The Pittsburgh-based guitarist-producer is compellingly embodying the styles of such iconic rock musicians as U2 and Queen in his newly released debut solo album, ‘Shake the Cage,’ which stunningly focuses on the natural way people connect with, and love, each other. Nelson’s dynamic record begins with the entry, ‘Turn You On,’ which features his dynamic and signature four-octave vocal range. Propelled by ’90s-inspired hard rock guitar riffs, the musician croons with a swagger and confidence that would surely appeal to the woman he sings about being attracted to, and wants to get to know better. His feisty vocals and provocative strumming on the guitar are intriguingly combined, and emphasize his heartfelt spirit. The follow-up effort to ‘Turn You On’ is another ’90s rock-inspired song, which is titled ‘Hey Doll.’ As one of the singles off of the musician’s introductory solo album, the mid-tempo track is enthrallingly driven by his smooth vocals and genuinely reliable guitar playing. Nelson rivetingly sings about letting the woman he’s attracted to know that he wants to get to know her better. ‘Shake the Cage’ then transitions into another one of its singles, the traditionally structured ‘Light.’ The Queen-inspired pop-rock tune continues to highlight Nelson’s tireless efforts to put the spotlight on the woman he’s interested in, and prove his worthiness to date her. The next entry on the musician’s album is ‘Keep Running,’ which is reminiscent of some of U2’s biggest classics. As one of Nelson’s current songs that would comfortably fit on contemporary hard-rock radio, he proves that he does possess the ability to relate to modern relationship struggles. With the aid of a memorable guitar backing, the singer croons about contemplating how much different their lives would be if he and the woman he’s interested in hadn’t met.